$924: Average amount AirBnB hosts make through the platform each month. ⅓: Number of Americans (and counting) already engaged in some form of gig or project-based work. 5.7 million: Amount of funding one organization (one of many) is investing in supporting students with short-term jobs at companies. Providing students high quality project based learning experiences to better prepare them for their current and future lives in the world and in work? Take your pick–AirBnB, Taskrabbit, Uber or one of the many other companies that offer people the opportunity to earn income through short-term projects, gigs or tasks. Explore any one of these companies and the number of users and workers and you’ll see that more people are engaging in this type of work than ever before. You better believe that this applies to the education sector, too. Educators have made over $175 million on Teachers Pay Teachers since the site launched. Earnest took a look at how much people are making from this sharing economy (sharing of vehicles, skills, goods, etc.). They found that many Americans are in fact earning quite a bit of money from their “side gigs.” Their findings further illustrate that there is a need to engage students in project-based experiences. While I would never contest that sustained, long-term work on projects and challenging problems is just as important, students do need the opportunity to hone their skills and strategies for short-term work. Exploring passions, interests and causes that matter should be a part of every student’s education. Projects or several short-term gigs are a great way to help students reveal (or discover) their personal passions and to facilitate their interest explorations (all while still covering core content and standards). There are many students who already have opportunities to explore their passions during the regular school day through projects and are thriving as a result. We’ve seen students at High Tech High create business plans and sell self-designed t-shirts, students at Thrive Public Schools engage in projects around kindness and empathy in their communities, and students at One Stone work with clients on advertising and marketing gigs, exploring their passions one project at a time. Need ideas? Engage students in projects around the Sustainable Development Goals, snag an idea from the the PBL Q & A blog or simply ask students what they are curious about exploring in their community. Sure, gigs can be a way to earn extra money by letting someone use a car here and there. Preparing students to earn additional income in this way, especially given a difficult job market, isn’t a bad idea. As Thom Markham states in a post about three trends that will define the PBL revolution, “There is worldwide demand for talented people who can use templates of knowledge and methods to build and deepen the work of any enterprise through activating their own personal skill set.” If we provide students the opportunity to pick a cause, plan a project and execute it, we will all benefit from a better world. Ever check your rider (or driver) rating on Uber? I’ll bet you have–if not I’ll wait while you check it now, but you have to come back………..are you back? Like I was saying, we thrive off of feedback and quick checks on how we are doing. Hattie has shown that feedback is one of the most significant influences on student performance. Whether it is peer-to-peer, teacher-to-student or employer-to-employee, feedback helps drive change and growth, and increases self-efficacy. I can’t think of a better way to give students feedback and opportunities to improve than offering them lots of project- or gig-based experiences. Multiple cycles of iteration and feedback on products and projects mimic experiences students will encounter in the world of work. Students at GOODE STEM Academy in Chicago know the benefit of these types of experiences and how much feedback matters. Students work alongside IBM executives on projects during year-long internships in high school. IBM ends up offering many of these students jobs, often due to the fact that they know how to work in a project-based environment. What does my work day look like? Do I engage in project-based work? What is the most memorable learning experience I have had? Did it involve a project? Would I like to try different types of work and explore my interests through side projects? What are my hobbies? Do I work on projects outside of my regular job or work? As the gig economy continues to expand, so will our understanding of how to best prepare students. While we aren’t sure exactly what jobs they will be doing, we do know that the skills these types of projects teach them will help them succeed in college, career and life. Does Your Teaching Have the 4 Categories of High Quality PBL? This blog is part of the High Quality PBL project. This project is supported by Project Management Institute Educational Foundation (PMIEF) and the William and Flora Hewlett Foundation. 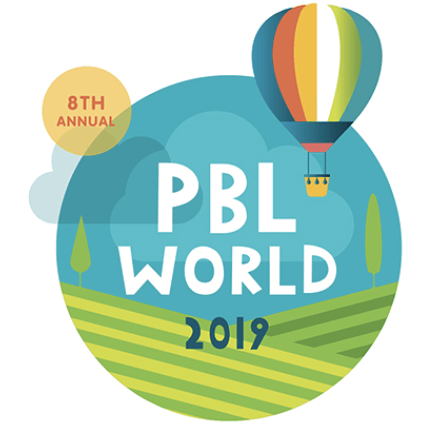 For more, see hqpbl.org and follow @BIEpbl for all the latest news and resources on high-quality project-based learning and use hashtag #PBL.